Perimenopause – What’s Going On? Around the ages of 45 to 55 years, our hormones start to change as we head towards menopause. There is a 35% decline in oestrogen and a 75% reduction is progesterone between the ages of 35 and 50. Ideally, this would be a steady decline, and our menstrual cycle would taper off slowly, but this is not always the case. Menopause is diagnosed when the menstrual period has ceased for more than 12 months. But there are quite a few changes occurring in the time beforehand, which we call perimenopause. These symptoms are related to the fluctuations in oestrogen, as well as the decline in hormones. As annoying as these symptoms may be, it is important to recognise that this is a natural phase in a woman’s life, and there are natural ways to support the transition. As we get older and move into menopause, there is a decline of oestrogen and progesterone produced by the ovaries, and the adrenals become even more important as they provide a source of oestrogen through conversion of androstenedione to oestrone. So looking after the adrenals in the way of managing stress and supporting adrenal function through herbs and supplements is even more important as we get older. Medical treatment may include hormone therapy, and this is certainly called for in women who go through an early menopause, or medical menopause, such as removal of the ovaries due to hormonal cancer. However, it is something to discuss with your doctor and way up the benefits versus risk when looking at hormone therapy. The benefits of replacement oestrogens include supporting bone health, reducing the risk of cardiovascular disease and of course, managing symptoms of menopause, however there is a link with an increase in the risk of certain cancers. The research available supports the use of hormone therapy in younger women, but is not recommended for women over 60 years of age. When the decline of hormones occurs gradually, there are usually fewer symptoms than women who go through premature menopause. The reduction of oestrogen can also increase the risk of heart disease and osteoporosis over the longer term. However lifestyle behaviours, exercise routine, food choices, stress management strategies and psycho-social support networks can affect how disruptive these changes will be. For example, regular moderate intensity exercise improves sleep quality, controls weight gain and supports bone density. Also reducing or avoiding caffeine and alcohol can reduce hot flushes. As a naturopath, I recommend using food as medicine as a part of an overall treatment plan to manage this transition. There are additional nutrients and herbal medicines that can be tailored to the specific individual, however dietary suggestions can be helpful for all women to manage the hormone fluctuations and support bone and heart health. “Phyto-oestrogens” refer to a group of plant-derived compounds that activate the oestrogen receptors and are known to influence the menstrual cycle, reduce the risk of oestrogen-responsive cancers, and decrease the frequency and severity of menopause symptoms. Consumption of phyto-oestrogen rich foods are associated with a reduction in hot flushes and profuse sweating during menopause, and have an oestrogen-modulating effect in the body. Soy products contain high levels of isoflavones, a phyto-oestrogen that modulates hormonal fluctuations. Choices can include organic sources of miso, tempeh, tofu and edamame, which also impact favourably on bone density and cardiovascular health, both important factors for the menopausal woman. Other sources of isoflavones include alfalfa sprouts, chick peas, currants, flaxseeds or linseeds, hazel nuts, passion fruit, peas, prunes and raisins. Grinding up a tablespoon of linseeds, also known as flaxseeds; or a combination of linseeds, sunflower seeds, and almonds (LSA) to include in your breakfast cereal or smoothie on a regular basis is an easy way of including linseeds into the diet. Ground linseed has a positive regulatory effect on the hormones. LSA is an excellent source of dietary fibre, protein and essential fatty acids, as well as the essential minerals calcium, magnesium, potassium, phosphorus, selenium, copper, zinc; and vitamins A, B, D and E. Please be aware that LSA bought already ground will go rancid quickly and should be stored in the fridge or freezer. It is more advisable to grind your own daily, or at least enough for a week and store it in the freezer. 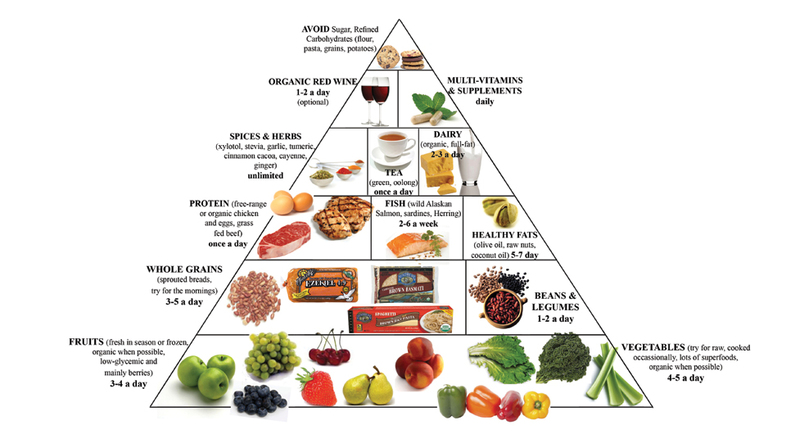 Eat primarily plant-based foods, such as fruits and vegetables, whole grains, legumes and nuts. Choose healthy fats, such as olive oil, avocados, butter and coconut oil as well as omega 3 oils contained in deep sea fish, such as salmon and sardines. Using herbs and spices to flavour foods. As women go through the menopause transition, bone loss is accelerated due to declining oestrogen levels, therefore a combination of physical activity, particularly weight bearing exercise, and adequate nutrition is important. Increasing calcium intake may help support bone density. This essential mineral can be found in milk, yoghurt, cheese, sardines or small fish with bones, vegetables such as broccoli, kale, bok choy, spinach, celery, cabbage, Brussels sprouts, onion, avocado as well as nuts and seeds. To ensure that the calcium is fully absorbed and deposited in the bones, it should be combined with foods rich in phosphorus such as meat, cheese, onions, garlic, and combined with vitamin D in oily fish, lentils, eggs and brown rice. Safe sun exposure to ensure adequate vitamin D levels for calcium absorption is important. Aim for 15 to 20 minutes sun exposure per day, staying sun aware and avoiding getting burned. Do not use sun screen or shower straight away, to allow for vitamin D skin conversion. Also eliminate smoking, caffeine and reduce soft drinks, as these will leach calcium from the body. Magnesium is also an important mineral to include in the diet, which facilitates calcium absorption and is involved in over 300 different biochemical reactions in the body. Chronic magnesium deficiency is also associated with the development of arthritis. Magnesium is found in nuts, legumes, whole grains, seeds, bananas and vegetables (especially green leafy ones). Choosing good food and a balanced lifestyle including exercise, stress reduction and social support networks can help the transition through menopause be an exciting time to focus on the next phase of life. Sometimes additional support through herbal medicine and nutritional supplements can assist the transition into menopause. I am available for individual naturopathic consultation in Mount Gravatt, Brisbane. Email info@authenticwisdom.com.au for more information.